The Texas Ranger Hall of Fame and Museum offers guided tours and self-guided visits of its exhibits throughout the year. Guided tours are offered on a first-come, first-served reservation basis to groups of between 10 and 50 individuals. 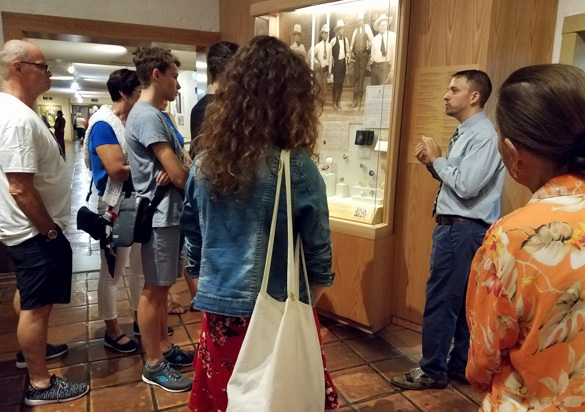 Guided tours typically run between 30 and 45 minutes and begin at an agreed-upon time during regular weekday operating hours. Due to staff availability, guided tours are not offered on Saturdays or Sundays. Special rates are available for groups number 10 or more paid admissions. For more information regarding group visits, please download, read and submit the Tour Request Form.